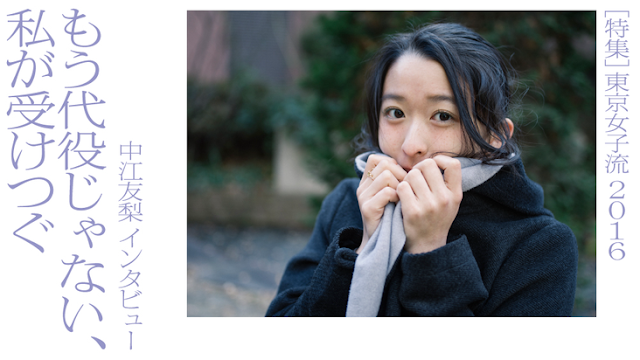 Here are some translated excerpts from Nakae Yuri's solo interview. 2015 was a year where Tokyo Joshiryu went through all sorts of incidents. Let's start first with your (5th January) 'Artiste declaration'. It's not like we'd declared that 'We are idols' before that, so I was questioning if there was any need to expressly make such a declaration. The way we'd been going, there wouldn't have been any problems if we were seen as idols, nor would there have been any problems if we were thought of as artistes. I'd be happy if people thought of us as artistes in the future, but to expressly make such a declaration, it kind of leaves a bad taste in the mouth. In June, Konishi Ayano-san announced that she would be entering a hiatus. You had to perform live with just the four of you. How was it? Even though the four of us tried hard with our live performances, you could say that the audience were frank with their reactions... It led to us experiencing pretty complicated feelings as people would often ask 'When is Aachan (Konishi) coming back?' or 'Aachan's singing was great'. 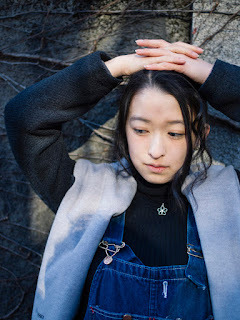 But at the time, Ayano was in a 'hiatus', and the fans believed that she would be back as well, so perhaps those were obvious questions. Nakae-san, you had to take up most of Konishi-san's lines, didn't you? Let me be honest here: it was quite painful. Since compared to Ayano's singing, my singing is a step down in quality... Being told 'Ayano's had a great voice' made me feel concerned about how the audience would respond to my singing. I was honestly troubled, I didn't know what to do. And Konishi-san announced her graduation in December. How did you feel about Konishi-san's decision? Before we moved to the city, we'd commute to Tokyo together, so compared to the others, I've spent a longer time with Ayano. I had lots of opportunities to talk with her about all sorts of things, but we never seriously talked at all about the troubles we were facing, maybe since she's always cheerful and brings joy to those around her. So, I imagine that she had a lot of troubles that she didn't bring to light, or perhaps she discussed it a lot with her family... But when we met Ayano and she informed us of her graduation, she looked completely refreshed, so I knew that things had already reached their conclusion. I honestly didn't want her to quit, I wanted to hold her back, but seeing Ayano like that, I couldn't stop her in the end. Tokyo Joshiryu will be moving on with four people from now on, so have your thoughts on singing distribution changed? I won't be a stand-in for Ayano any longer, I'll make the singing parts that I inherited from Ayano into my own. There's no need for me to sing like Ayano, it'd be fine to sing in my own way. I'll be singing a lot from here on, so I'll have to make it my own. Nakae-san, what are your personal goals? My theme for 2016 is 'Overcoming myself'. I don't get serious unless I'm pushed. You could say that I know myself too much, that I'm too lenient on myself.